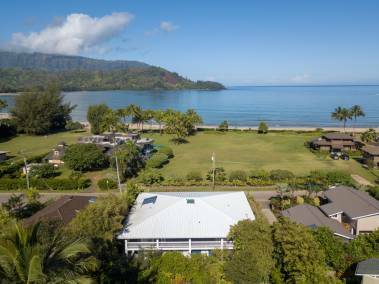 Carol Andrews has been actively selling property on Kauai since 1990. She has built a reputation in the Kauai real estate market as a broker who goes well beyond the expectations of her clients. She is committed to supporting them in every phase of the real estate process. Carol sees herself as a "glass is half full" person and utilizes her positive attitude, shrewd negotiation skills, and strong work ethic to create smooth and successful transactions. She was born and raised in southern California, married to her high school sweetheart since 1977, and has raised two wonderful children. 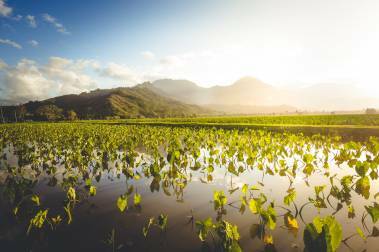 Carol and her family moved to Kauai in 1988 out of a strong love for the ocean and the beautiful and natural island culture they knew existed here. Carol lives a healthy, socially conscious lifestyle and prides herself on not only being a good role model for her family, but hopes her good energy and "Golden Rule" philosophy inspires good karma in all who cross her path personally and professionally. Carol has traveled extensively to exotic places around the globe including Fiji, New Zealand, Australia, France, Spain, Costa Rica, Mexico, Cook Islands, Papa New Guinea, Indonesia and just about everywhere in South East Asia. Her favorite pastime is stand up paddling and her favorite hobby is collecting mermaids. Prior to her real estate career, Carol spent over 12 years in banking and real estate finance. Before joining the Hawaii Life Team Carol was the Principal Broker at KOA Properties Land & Homes. Carol's strong financial background and well earned respect from her peers in the Kauai real estate industry were two powerful reasons Neal Norman, owner of KOA Properties, felt compelled to designate Carol as KOA's Principal Broker. Can I Afford the Cost of Living in Kauai?